Whether you're facing a specific legal issue or have questions that only an attorney can properly answer, a lawyer from Killoran & Killoran is here to help. At our Fall River firm, we work hard to support our clients no matter the situation at hand. Attempting to tackle a legal matter on your own can end up negatively impacting the outcome of your situation. 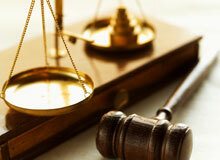 Why risk such repercussions when our dedicated lawyers are on hand to offer guidance when you need it the most? To set up an appointment or learn more about our Fall River law practice, call Killoran & Killoran today. 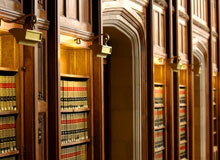 The Firm is engaged in the general practice of law. There is a heavy concentration in the area of domestic/family law, general civil litigation, and matters involving land development/ zoning. Examples of representative clients are: 7-Eleven; Walmart; K.R. Rezendes, Inc.; Atlantis Charter School; CVS; Somerset-Berkley Regional School District; and Home Depot. Examples of Banks/Lenders for whom the Firm has conducted both residential and/or commercial closing transactions for are: Webster Bank; Bank Five; Bank of America; Citizens Union Savings Bank; and Mechanics’ Co-operative Bank. The Firm is an approved Title Insurance Agent for Fidelity National Title Insurance Company.